I purchased both Shadow of the Beanstalk and Worlds of Android today and gave them a shot. I had already purchased the hardcover of the Genesys system (as well as the Star Wars line), so I figured I had a good chance of grasping the Android rpg. The good news is that it is very attractive and well-written. The rules are no more of a problem than with any of the Genesys line and the game deals with a genre that I particularly enjoy dabbling in- Transhumanism. The bad news is that you really need Worlds of Android if you are to understand the background of this game, and both books fall a bit short of filling in what should be a larger, more complicated world. The "Androids" of this world are synthetic bioroids and organic clones. These androids are made by just two corporations and the lines that exist are very limited. When I get hold of a new RPG, my typical approach is to create a character and see how the system treats the creation process. The clones are the closest things to bioroids in GURPS TransHuman...See more Space, and I had a good character of that type from THS to try out here. Imagine my surprise to discover that the only clones available to be played are "Henry's" (exclusively neutered male muscle men designed for hard dangerous labor), "Tenma's" (male- probably neutered as well- pilots and drivers), "Molloy's" (male and female waitstaff and kitchen help for the most part), and last, but not least, the "Desai" (very intelligent tutors) of which there is exactly one example alive and she's with the police. I'm sorry, but this is not a very exhaustive list of the possibilities that would exist given that there should be more than one corporation growing clones, the existence of Yakuza, Mafia and other criminal organizations that would jump at the black market for clone slaves for just about every purpose you can imagine, and the potential of a military jumping at the chance to force-grow an army of clone troopers in a matter of a few months. Add to this the inclusion of Asimov's Three Laws of Robotics to Bioroids and you have little incentive for players to try making clone or bioroid characters unless they are willing to work within the restrictions set up in the game. All the above being said, I am impressed with the presentation and the potential to expand this world. I'm hoping that I'm mistaken and I welcome input that will correct my first impressions. The setting, as presented in Shadow of the Beanstalk and Worlds of Android, is very much centered on the city of New Angeles. I would have liked more info on the rest of the world, too, but I think FFG is quite upfront about this. As to clones/bioroids: The technology still is rather new and patents are jealously guarded by Jinteki and HB. I think there certainly ARE more companies doing research/small scale business in these areas, but they are way behind the two giants. Also, remember that Jinteki's advantage lies not in cloning techniques per se, but in accelerated growth and conditioning, which make clones commercially viable. There are many more lines of androids mentioned in the novels; check out FFG's forum for this game, there is a thread where the known lines and their characteristics are collected. Thank you very much for pointing me in the right direction. I just spent the last hour reading through the Shadow of the Beanstalk forum and found all the cool stuff you're referring to. It certainly allows for the GM and the players to work together to do pretty much what they want (staying within the setting, of course). My point about "bioroids" not actually being bioroids is a personal preference. It is obvious that the bioroids of GURPS THS are very similar to the clones of SotB, but if I really want to make a big deal out of it, I should go back to TransHuman Space, right? Thanks again. I will go back and read through the two books more carefully and give them a fair shake. Would be wonderful if there was a layered pdf available to make it printer friendly. Being able to turn off what you don't want would be ease the toner usage. 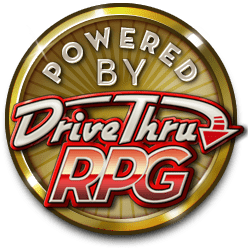 Maybe further expansion of Android RPG line would be more preferable. From your past publication, I know you can make some awesome thick fluff, not to mention long list of errata for the crunch as well. How useful is this book if you have Worlds of Android and don't plan to use the Genesys system? Shadow of the Beanstalk offer 75-85% rules and character options, and a small amount of setting to get the "mood". Cheers. Sounds like I am better off sticking with Worlds of Android for my preferences. Thanks.